Over the past week, the PSI index has been on steroids, thanks to our Indonesian neighbour. In addition to caring for our respiratory system, drivers should take extra care when cruising on the road. Turn on fog lights (if equipped) - Fog lights differ from driving lights in the way they project the light. The beam projected by fog lights is usually wide and flat so that it stays close to the road surface and minimises reflection by the haze. They also better illuminate the sides of the road. Keep a wider distance from the vehicle in front - Increase your count distance by five seconds instead of the normal two seconds behind another vehicle. Do not speed. Use your low beams - The visibility in front of you will decrease sharply in hazy condition. The light from high beam headlights will be reflected by the thick haze. 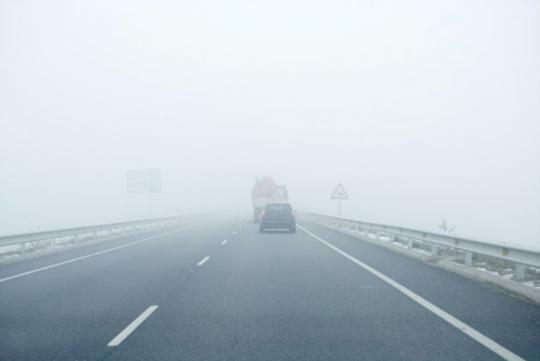 Do not let your car drift - There's a natural tendency to wander into the middle of the road when visibility gets bad. Be sure to keep yourself in your lane. Seek assistance from front passenger - Ask your passengers to help keep an eye out for oncoming cars and obstacles on the road. Use the right edge of the road as a guide - This can help you avoid running into oncoming traffic or being blinded by oncoming headlights. Drive safely and pray that hazy days will go away soon.